WASHINGTON (AP) — The cancellation of President Donald Trump’s Veterans Day parade came swiftly when senior White House and Pentagon leaders saw the estimated $92 million price tag play out in public, setting off a chaotic volley of tweets and accusations between the president and the mayor of the nation’s capital. The drama that unfolded Thursday and Friday also highlighted, not for the first time, a disconnect between the Pentagon and the White House when it comes to turning some of Trump’s more mercurial ideas into reality. While Defense Secretary Jim Mattis dismissed the price estimate for the parade as fiction — likening the report of it as the work of someone who had been smoking pot — Trump wasn’t denying the projected costs. He was lashing out at Washington, D.C., politicians he claimed were to blame for the sky-high price. “When asked to give us a price for holding a great celebratory military parade, they wanted a number so ridiculously high that I cancelled it. Never let someone hold you up!” Trump tweeted. He held out hope of holding the parade next year instead, and said this year he would travel to Paris for events marking the centennial of the end of fighting in World War I, which falls on Veterans Day, Nov. 11. “Now we can buy some more jet fighters!” he added. 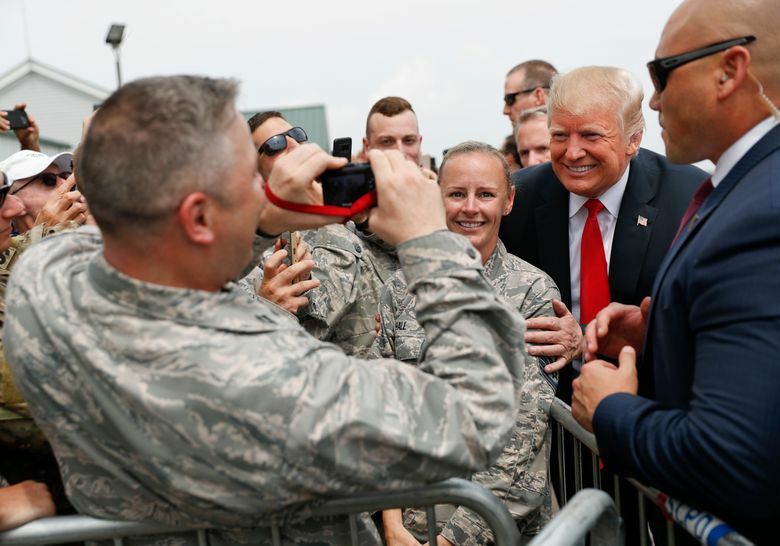 Despite Trump blaming municipal authorities for the high estimate, the bulk of the cost was the $50 million Pentagon portion that would cover military aircraft, equipment, personnel and other support. The remaining $42 million would cover costs borne by the city and other agencies and largely involved security costs. District of Columbia officials called the price-gouging charge by Trump “patently false.” A city official said the $21.6 million estimate of the costs the city would incur was their “best stab at it,” since they did not know what the exact route would be or how long it would last. The official, who wasn’t authorized to discuss the matter publicly and spoke on condition of anonymity, said there had been little interaction with the Pentagon and few details provided. It was a demand that drew criticism not just from Trump’s political opponents but some Republicans too. As the Pentagon began planning for the U.S. version, the cost became a politically charged issue — as did the prospect of streets in the nation’s capital being churned up by tank treads. According to officials familiar with the unfolding events, senior Pentagon leaders were briefed Wednesday about the parade costs. But officials said the estimates were still preliminary and so were not submitted to Mattis or Gen. Joseph Dunford, chairman of the Joint Chiefs of Staff. The officials spoke on condition of anonymity to discuss private meetings and conversations. When details came out publicly Thursday, senior White House officials, including Chief of Staff John Kelly, were angry about the $92 million amount, which was more than triple early estimates of $10 million to $30 million by the White House budget director. It’s not clear when Trump was told, but the order to cancel the parade came quickly and was made by the end of the work day. The Pentagon announced the decision just before 8 p.m. Throughout the day, multiple U.S. officials had confirmed the $92 million estimate that was put together by the interagency parade planning group. And Pentagon officials did not push back or at any point suggest the reporting was wrong. Still, when asked about the price Thursday evening, Mattis excoriated the media and said he had seen no such estimate. “I’m not dignifying that number ($92 million) with a reply. I would discount that, and anybody who said (that number), I’ll almost guarantee you one thing: They probably said, ‘I need to stay anonymous.’ No kidding, because you look like an idiot. And No. 2, whoever wrote it needs to get better sources. I’ll just leave it at that,” Mattis told reporters traveling with him. He said that whoever leaked the number to the press was “probably smoking something that is legal in my state but not in most” — a reference to his home state of Washington, where marijuana use is legal. Mattis’ comments came hours after the estimate was made public, and not long after the cancellation decision was made — giving his staff plenty of time to ensure he was made aware of the planning estimate’s accuracy. One reason for the political sensitivity was that Trump himself had boasted that the cancellation of a major military exercise with South Korea amid easing tensions with North Korea would save the U.S. “a tremendous amount of money.” The Pentagon later said the Korea drills, which typically take place every August, would have cost $14 million — an amount dwarfed by the estimated cost of the parade. 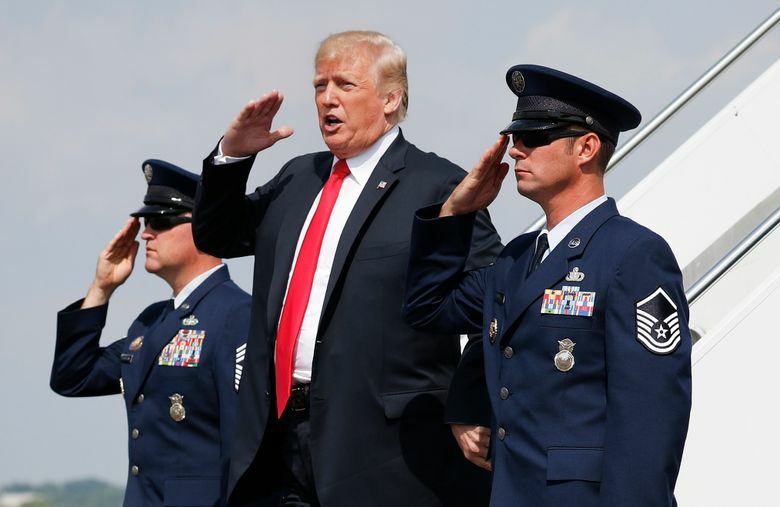 The cancellation of those drills, like Trump’s demand for a parade, initially caught the Defense Department unawares. Mattis was also widely viewed as being unenthusiastic about the president’s plans to set up a Space Force as a new branch of the military — but as in the other cases, he has toed the line of the commander in chief. 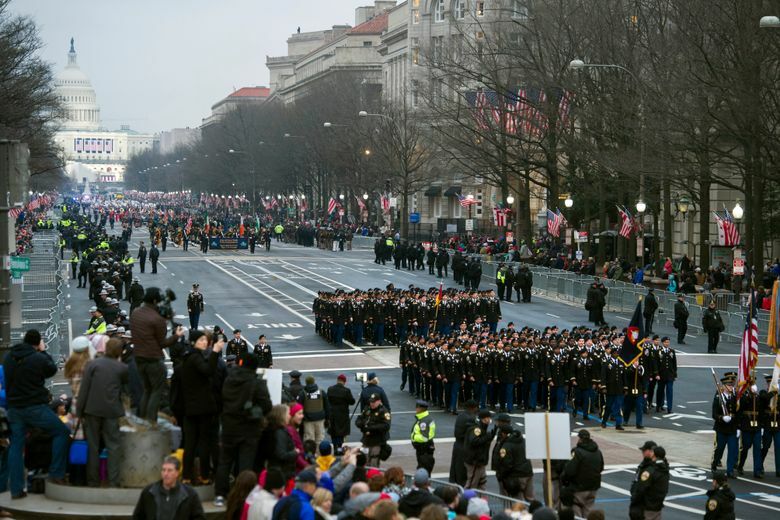 The parade was expected to include troops from all five armed services — the Army, Navy, Air Force, Marine Corps and Coast Guard — as well as units in period uniforms representing earlier times in the nation’s history. It also was expected to involve a number of military aircraft flyovers, which can carry significant costs in personnel, aircraft and support. Associated Press writer Ashraf Khalil contributed to this report.